For all the action, mistakes, easter eggs and cameos in blockbuster movies, the drama and comedy behind the scenes can be just as awesome. We're changing things up, and giving you a rapid fire dose of movie trivia you never thought to look for. Screen Rant presents Know Your Movies: 20 Amazing Movie Secrets That Will Blow Your Mind #2. The Stormtrooper Finn, young star of Star Wars: The Force Awakens gets his nickname from his First Order ID: FN-2187. The FN stands for Footsoldier Number, but the 2187 is a reference to Leia's Death Star prison cell in the first movie. Director J. J. Abrams also found a way to pay homage to every movie in the original Star Wars trilogy in his own movie, including the iconic environments from each in Episode VII. The deserts of Tatooine in A New Hope are reappear on the planet Jakku, the frozen snow of Hoth in The Empire Strikes Back is alluded to by the chilly conditions on the surface of Starkiller Base, and the forests of Endor's moon in Return of the Jedi act as the backdrop for the first major stormtrooper battle outside Maz's watering hole. The director of The Revenant's commitment to realism didn't just send the cast into the wild, but scenes could only be filmed using natural light, with the crew waiting until the sun lit the scene perfectly, and having just hours to shoot each day. It wasn't just the cold and snow that star Leonardo DiCaprio had to deal with, but his vegetarian diet, too. When a scene called for the character to eat mouthfuls of bison liver, he realized the fake version wouldn't work, and chowed down on the real thing - admitting he would never do it again. 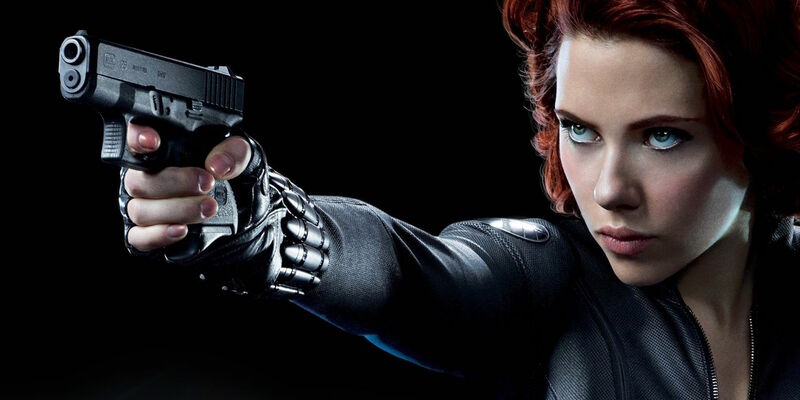 Scarlett Johansson didn't know she was pregnant until a day before filming started on The Avengers 2, so the Ultron effects team was charged with hiding her growing belly through CG. Aside from stunt doubles, watch out for Black Widow covering her stomach in a bedroom scene with Bruce Banner, or conveniently lying down the entire time Ultron has her held hostage. A lot of the humor in this Mars story comes from the book it's based on, but the filmmakers had some fun. In one scene, the head of NASA makes an accurate prediction, assuming the head of the Jet Propulsion Lab will tell him "the overtime alone" will make a rescue mission impossible. It's accurate... because that exact scene played out in the novel, giving those who read it an even bigger laugh. The little yellow mascots of the Despicable Me series are famous for their voices and gibberish language. But for their standalone movie, Minions, it was only the director Pierre Coffin who supplied the voices. All of them. All 899 of them. Talk about dedication. Almost every superhero movie costume comes with a muscle suit to give the stars a comic book body. But on Ryan Reynolds, the added muscles didn't look right on his already-buff body. The only solution was to toss it, which means the finished physique of Deadpool is all natural. Even though Adam McKay was brought in to rewrite Ant-Man, there weren't many connections to his other hit, Anchorman. But the Pym Technologies building should look familiar - it's the same Atlanta building used for the Channel 4 headquarters. The Orcs of the video game fantasy Warcraft are created entirely in computers, but director Duncan Jones still had full-sized models of their in-game armor constructed to scale, so the actors performing the motion capture could see just how intimidating their CG characters would wind up. You can't help but think it resulted in better performances. The mutant Nightcrawler gets a second appearance in X-Men: Apocalypse, played by Kodi Smit-McPhee. The actor finally joins the Marvel superteam after he was originally cast as a young Wolverine, in X-Men: Origins. He probably made the right call. Most Disney movies tend to give animals human personalities, but for the CG/live-action Jungle Book, it's the opposite. Footage of real animals was used as the base, with the famous cast having to copy those movements as they delivered their lines. Can you believe an Independence Day sequel was actually planned as soon as the movie hit theatres? The writer wound up returning his pay for the sequel script, since he didn't think the story was strong enough. Fifteen years later, inspiration struck, and the story for Resurgence was born - set two decades after the first film. Paul Walker's death stunned movie fans, and forced the makers of the Fast & Furious team to get creative. Body doubles, CG and Walker's brothers were used to finish his scenes in Furious Seven. The most incredible solution? 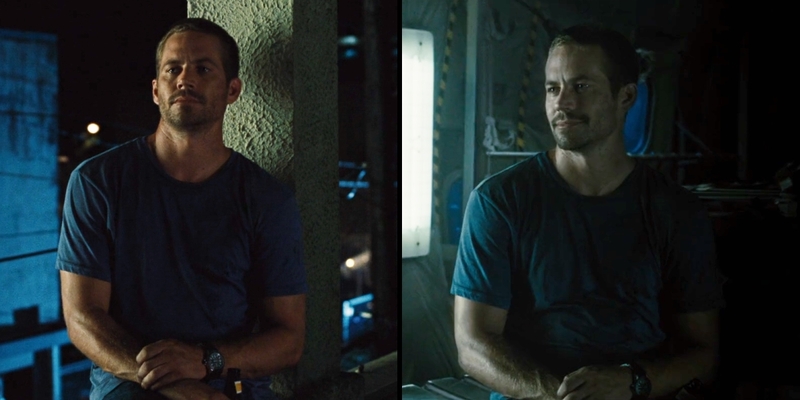 An airplane conversation that required the effects team to copy Walker in, frame by frame, using footage taken from Fast Five to finish his character's story in the series. Though he denied it at first, Quentin Tarantino eventually admitted that The Hateful Eight was planned as a sequel to Django Unchained, with Jamie Foxx's hero one of the snowed-in bounty hunters. Since audiences shouldn't know who's good or bad, or going to survive, he eventually rewrote the script with Django removed. J. J. Abrams may only have produced Rogue Nation, after directing the franchise's third instalment, but his impact is still felt. When Ethan Hunt tries hacking an underwater terminal, it's labeled with the number 108 - which just happens to be the sum of the famous numbers from Abrams' famous TV series, LOST: 4, 8, 15, 16, 23, 42. Nobody would have ever guessed that Chris Pratt, the chubby clown from Parks & Rec would wind up battling dinosaurs in Jurassic World, right? Wrong. He made the prediction himself in a behind-the-scenes gag video four years before being cast. American movie fans have learned one lesson over the years: German or Russian accents belong to villains. Wartime grudges are worldwide: in both the English and German versions of the movie, the evil Buzzards (the spike-covered bad guys in the first act) speak Russian. For the Russian cut, their lines were re-dubbed... into German. Fans hoping to see a romance develop between Fury Road stars Max Rockatansky and Furiosa left the theatre disappointed. But the doubles for Tom Hardy and Charlize Theron, Dane Grant and Dayne Porter, didn't. While they rehearsed the brutal fistfight between the two characters, they fell in love, eventually marrying once production wrapped. Those are some of our favorite mind blowing movie facts, but let us know which ones we missed and stay tuned for more! And remember to subscribe to our YouTube channel for more videos like this one.